This Expert will hedge your trade position automatically. There are 2 buttons on chart for you to enter a trade. 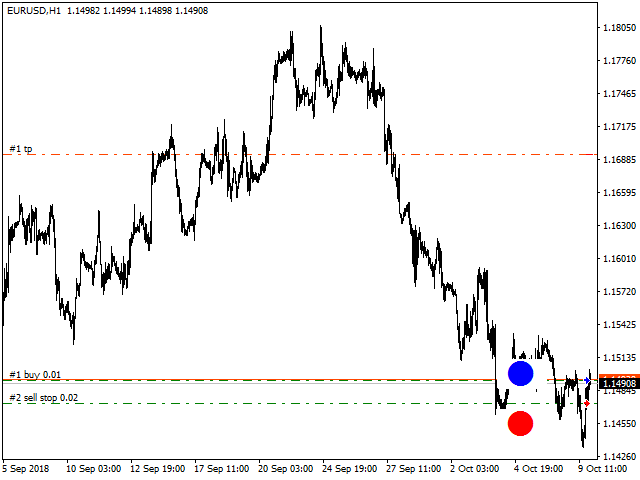 Blue button for buy entry and Red button for sell entry. It also can trail stop all hedged positions. 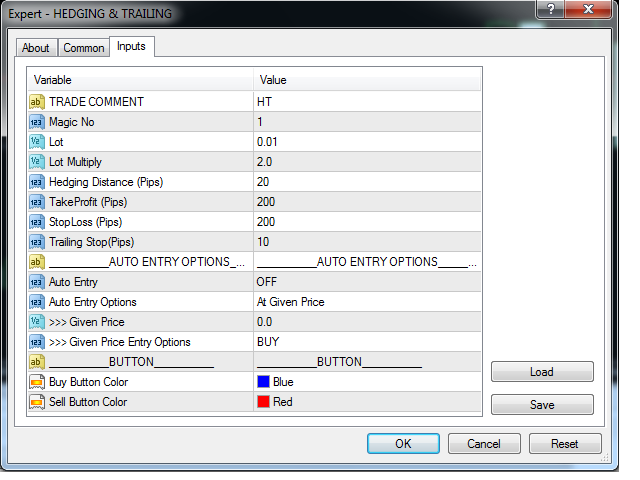 It can also open its own trades with auto entry feature. When you found a setup, click the button (blue for buy and red for sell). Expert will immediately open a stop pending order. When price hit this pending order, Expert will open another opposite pending order. It will continue to do so until all open positions are closed due to price hits take profit, stop loss or trailing stop. Expert will not open any new trade if you click the button while there are still open trades. (2) By Auto Entry Options. -Auto Entry-ON/OFF: turn on and off this feature. 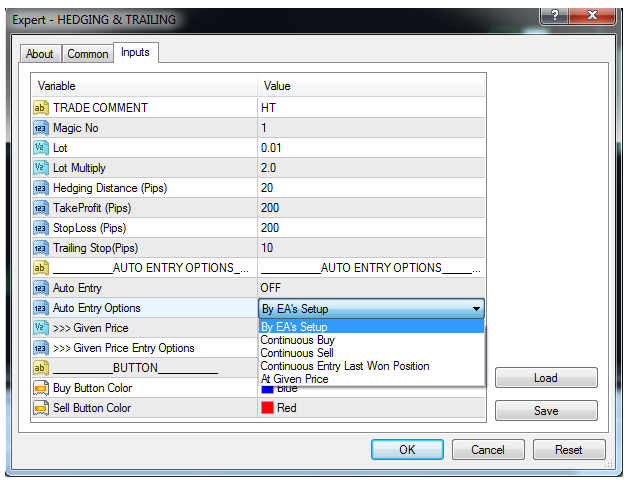 -Auto Entry-By EA’s setup: Expert will only open a position when it found a setup. 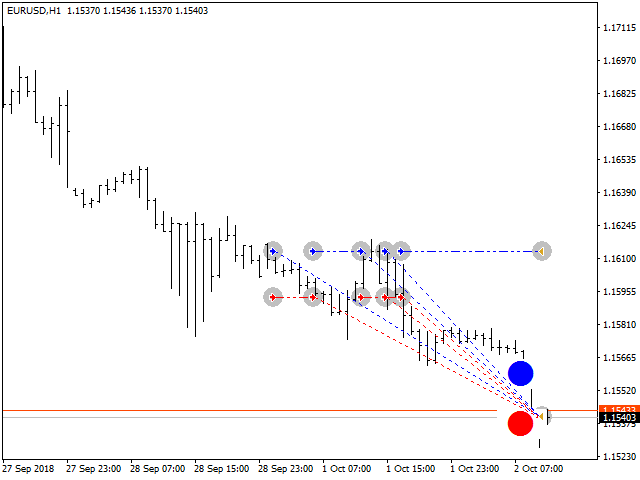 -Auto Entry-Continuous Buy: Expert will continuously enter long when there is no open position. -Auto Entry-Continuous Sell: Expert will continuously enter short when there is no open position. -Auto Entry-Continuous Entry Of Last Won Position: Expert will continuously open the same position of the last won. >>> At Given Price: Expert will open trade at this price. zero means no entry. >>> Given Price Entry Options: User can choose drop down trade options, buy,sell, buy stop, sell stop, buy limit or sell limit. Trade Comment: you can name you own trade. Magic No: unique trade number for this expert. Lot: your first trade lot size when you click the button. Lot Multiply: hedging the earlier position by opening a new pending order with multiplying lot. 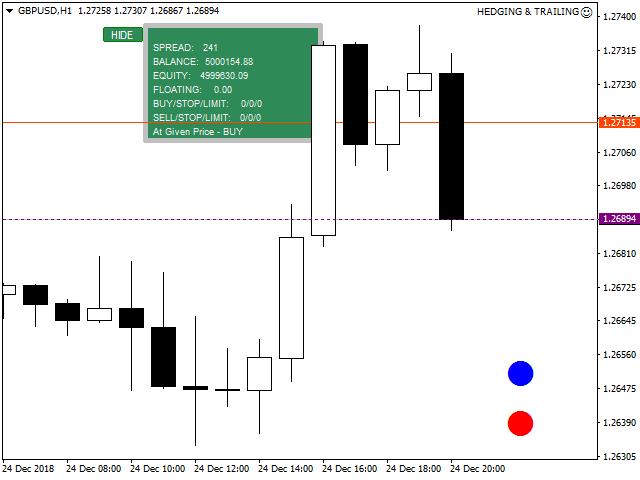 Hedging Distance: distance in pips between hedging positions. 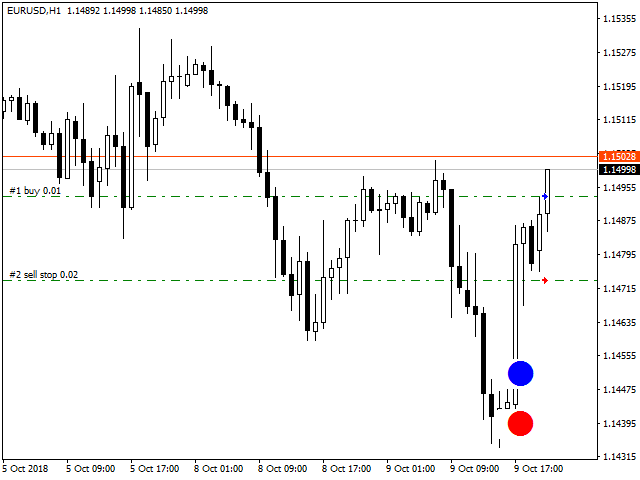 Take Profit: take profit value in pips. Stop Loss: stop loss value in pips. 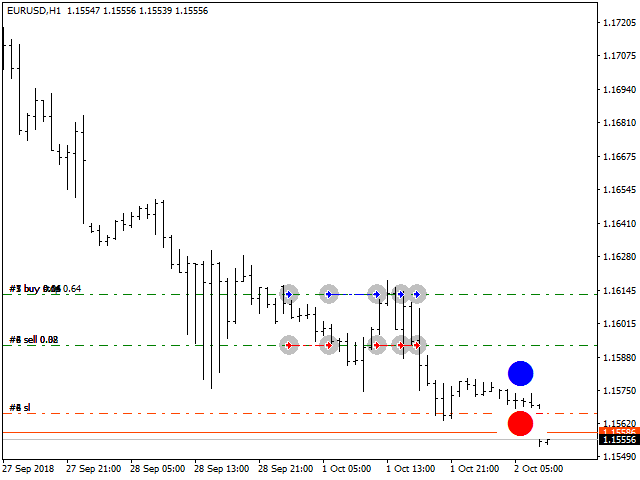 Trailing Stop: trail value in pips. Zero value means no trailing. Auto Entry: ON / OFF . Buy Button Color: default is blue. Sell Button Color: default is red. 2. 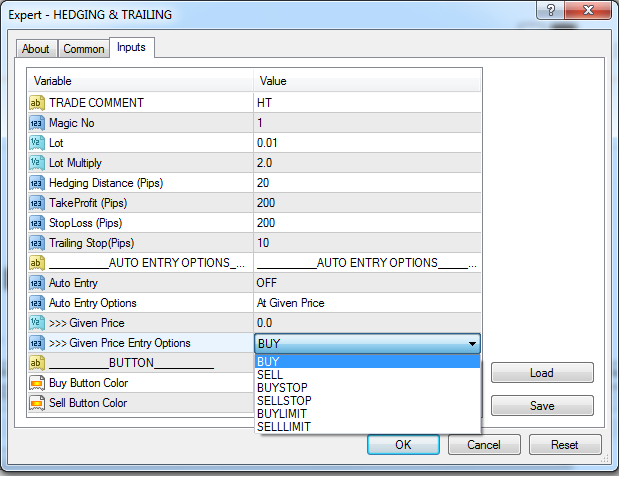 Auto Entry At Given Price with trade option buy,sell and pending order. Auto Entry-Continuous Entry Of Last Won Position: Expert will continuously open the same position of the last won. New Features added. Auto Entry with continuous buy and sell.